CESI Group is an independent and pioneer center of expertise and a global provider of technical and engineering services to customers throughout the energy value chain, including business and technical consultancy, engineering and operational support. They also act as owner’s engineer and provide qualified third-party opinions to power utilities worldwide. Through their top-class modern testing facilities located in Milano, Berlin (IPH GmbH) and Mannheim (FGH GmbH), they are among the leading international test houses providing measurements and inspection, testing & certification and design review services to the global power industry. Technical innovation is at the heart of much of what they do. Their network of more than 1000 highly experienced professionals around the world, working from offices and through representatives in 35 countries, is dedicated to delivering customized solutions. These include providing innovative, yet practical, answers to meet the energy-related challenges of modern equipment and processes. They uniquely combine expertise in strategic and policy consultancy with comprehensive technical and technological know-how. 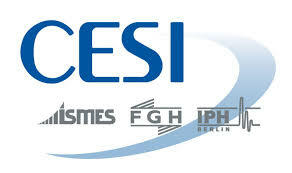 CESI: delivering to the power industry solutions based on independent advise, know-how and experience.